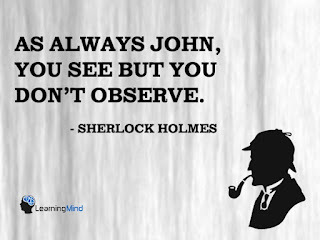 Most people don't observe. This observation (ha ha) has annoyed me all my life. I'm not picking on other people; I constantly get annoyed at myself for failing to observe something I think I should have noticed. People also fail to observe things they don't want to observe-- things that would make them uncomfortable. This explains why most people don't notice that cops are bad guys, even with a seemingly infinite stream of irrefutable evidence being shoved in their faces on a daily basis by the behavior of cops themselves. When the tendency to be unobservant is combined with the fanaticism to not see what you'd rather not see, it is almost guaranteed that people won't notice something really important. Now, copsuckers might come back with the claim that I don't observe the good that cops do. If so, I have counter-evidence to refute their claim. I observe both sides, but to the copsuckers it appears biased against cops. That's because ethics itself is biased against cops. If you are observant, you'll notice this fact, even if you don't want to.